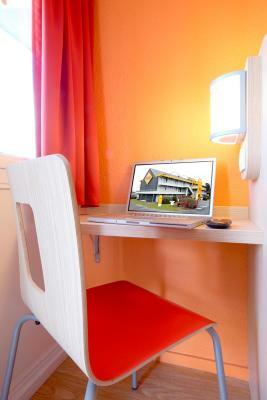 Perfect location, easy access to restaurants, clean and warm. Convenient beside the motorway. Clean, simple rooms. 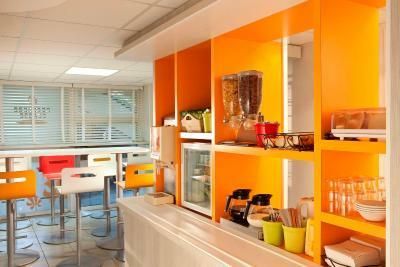 All you need - coffee machine in the morning at reception. The beds are so comfy and the room had been warmed up for our arrival after a cold journey. 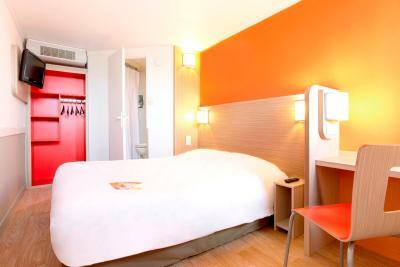 Not a lot, it was a place to sleep and cant expect too much for the price. I was able to avoid the automated check in system and check in at the desk with a pleasent lady. 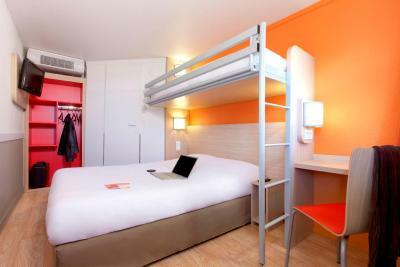 Good basic accommodation. Easy to find with satnav. Good restaurant in adjacent hotel. Exactly what I was looking for. Easy to find, so warm on a cold night, was fab! 5 minutes from the motorway, great for when passing through. Cheap but good value, basic but works for travelling or business trips. 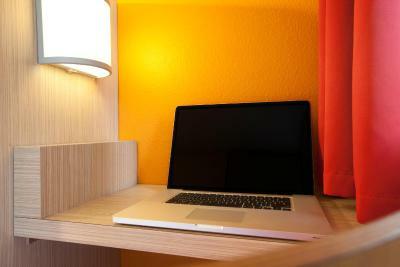 It was a basic hotel but it suited my purpose. 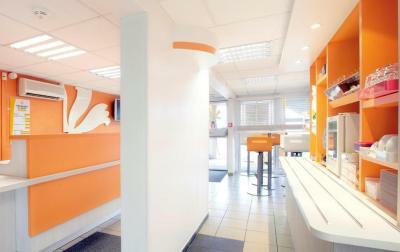 No frills - what you see is what you get! This Premiere Classe is located next to the A63 motorway, a 15-minute drive from central Bordeaux and a 5-minute walk from Tram B Cap Metiers station. 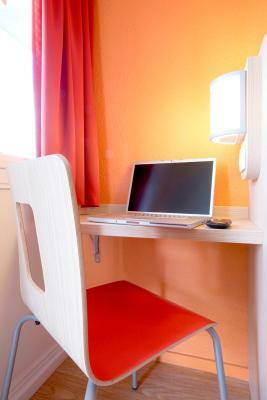 It offers free parking and air-conditioned en suite guest rooms with free Wi-Fi. 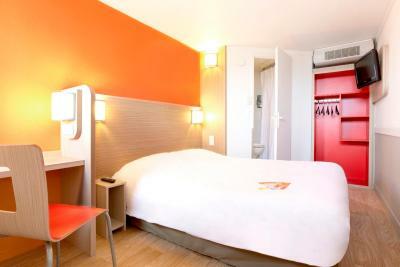 Each of the Pessac Becquerel’s rooms also has TV. 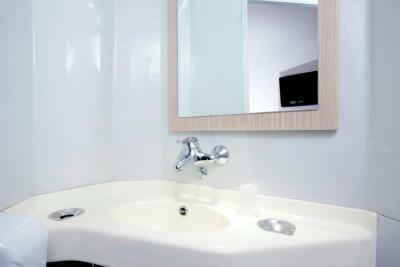 All of the rooms have a private bathroom. 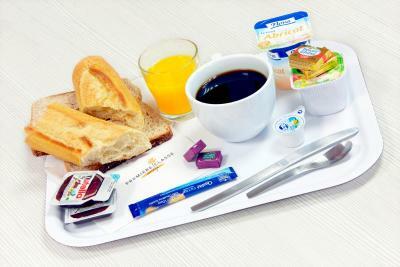 Guests of the Premiere Classe Bordeaux Sud can enjoy a buffet breakfast in the morning. 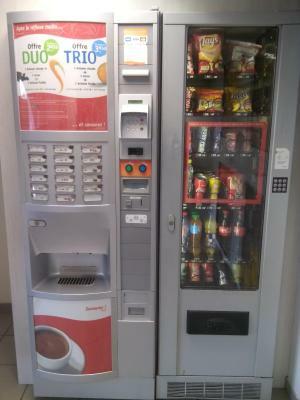 There are vending machines serving hot and cold drinks 24/7. 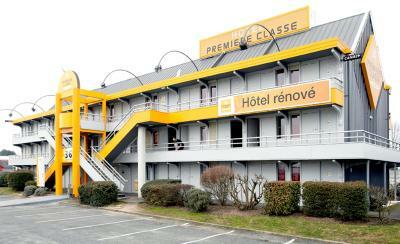 Merignac Airport is 6.2 mi from the Premiere Classe Bordeaux Sud - Pessac Becquerel. 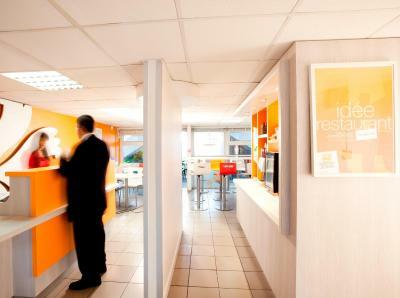 There are many restaurants within walking distance of the hotel, and the nearby bus stop provides access to central Bordeaux. 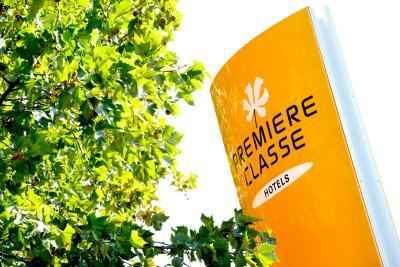 When would you like to stay at Premiere Classe Bordeaux Sud - Pessac Becquerel? 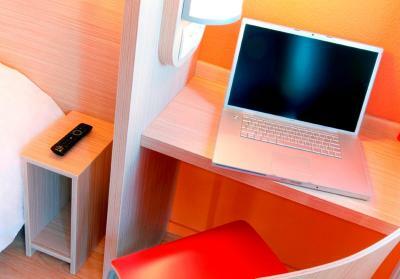 Provided with free Wi-Fi, this room also includes a flat-screen TV. 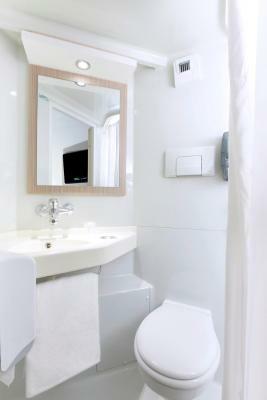 It comes with a private bathroom with shower. 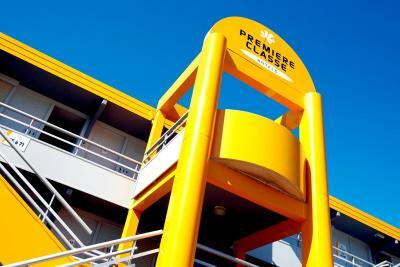 House Rules Premiere Classe Bordeaux Sud - Pessac Becquerel takes special requests – add in the next step! 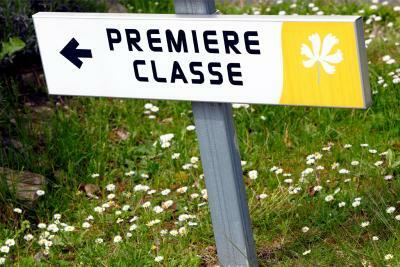 Premiere Classe Bordeaux Sud - Pessac Becquerel accepts these cards and reserves the right to temporarily hold an amount prior to arrival. Receptionist quite rude didn’t acknowledge us despite standing there for ten minutes I didn’t know about staircase as I have arthritis in both knees Cleaners ignored a toilet roll which had obviously dropped down the toilet and retrieved. 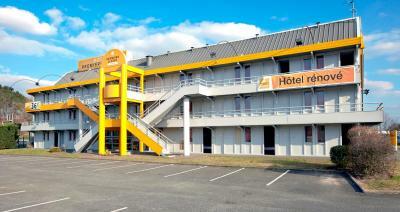 It was my worst experience of a cheap hotel. It was cramped, dirty, old, shabby and broken. The room smelled of dog. We stayed on the ground floor and could hear people entering their rooms above us from the metal stairs. We were initially planning to spend a second night here but after entering our room we decided otherwise. The room smelt like chemicals trying to cover up cigarette smoke, the door was hard to close and even when we managed to shut it properly the noice from the motorway was very noticeable. My wife and I bother had a poor sleep and didn't think the sheets were very clean. on top of this, the wifi was almost impossible to use, it took forever to load even just a google page and trip advisor site for what to do in the area, I ended up using the expensive data on my phone. Also glad we didn't get the breakfast as it was very basic and minimal (we saw it as we checked out). Just another motel. Confusing instuctions to sign in for WiFi. It reqested my room number and the name I booked with, (given and family name) but it only worked with my surname(family name). WiFi very slow. Much road noise. Nothing much, it was exactly what I expected. The smell of cigarette smoke in the rooms. Room and bathroom really really small. I just didn't like the fact that I wrote the data from one card in Booking website but when I got there at the moment of the check-in, the card was not accepted. I had t use my own (which luckly had money enough). But what if it had not?